At the Birmingham Periodontal and Implant Center we come across many patients who have been abroad for treatment. 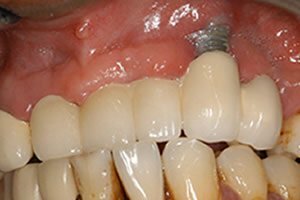 As dedicated professionals we have a responsibility to warn all our patients who maybe contemplating such actions of the potential pitfalls of going for cheap dental implants. One of the main problems we see is the lack of long term treatment planning, as the patients have a short time abroad and the dentist provides too much too quickly. This results in the dentist cutting corners and in some cases ignoring the patient’s periodontal (gum) condition. It should be noted that an implant should never be placed in a patient with periodontal (gum disease), and this can be both costly to the patients financially and them paying a price for resulting deterioration in their overall dental health. Unfortunately, the consequences of poor treatment planning are not always immediate and can surface several months or even years later. The patient is left with a less than satisfactory outcome and may find it difficult to return abroad to have the dental implant problems solved. The remedial work ends up costing a lot more than if it was carried out in the UK, since the failed implants would have to be removed before any remedial work can be carried out. 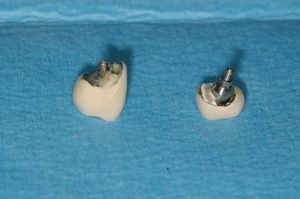 Cheap and outdated implants systems as well as unregulated dental practices can be found in some places like; India, Budapest, Hungary Malta, Prague, Poland. Please research carefully. The General Dental Council has acknowledged this problem and even produces a simple guide for patients regarding treatment abroad. This can be down loaded from the GDC website at http://www.gdc-uk.org under the advice section. Who will be providing my treatment and what are their qualifications? How many times have they carried out the procedure? What will happen if things do not go to plan, how much will it cost? How is the regulatory body abroad able to help? We should also ask our patients who are contemplating going abroad the same questions as well. By posing these questions to our patients we are not trying to dissuade them but providing information on the potential risks involved. Being a referral practice we have also seen a significant amount of implant failures, such as nerve parasthesia, failed implants, peri-implantitis, fractured implants and failed implant retained crown/bridgework. Specialist Implant Surgeon YES Unknown ?? 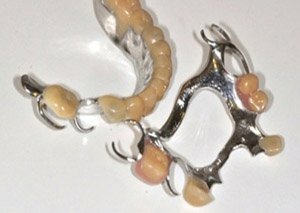 Specialist Restorative Dentist YES Unknown ?? How many years in Practice? Over 18 years Unknown ?? How many implants placed? +2500 (as of April 2011) Unknown ?? What is success rate? 98% over 15 yrs Unknown ?? International teachers for Implant training YES Unknown ?? Using a cheaper dental implant system can often result in a long term problem for the patient as the implant systems used in these countries are typically one of the smaller manufacturers with little or no research. While the research aspect may be considered academic as titanium implants all integrate with the bone, the real problem is that the instruments and components used for these systems may not be available in the UK. On a number of occasions we have had to contact overseas practices to find out the system used and also where we can order the necessary components. At the Birmingham Periodontal & Implant Centre, we only use the major manufacturers such as AstraTech, ITI Straumann, Biomet 3i, Sybron Kerr, Nobel Biocare and Denstply Friadent. We make sure that the patient is getting the best product so that if they were to move practice or even abroad, they would not be disadvantaged in anyway. As we have no financial involvement in any of these manufacturers, the patient is the main beneficiary as he or she can travel with complete confidence knowing that only the best researched and most widely available products have been used. 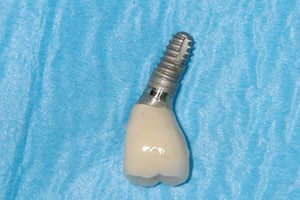 If you are a dentist and referring your patients for implants, we would suggest that you inform your patient of appropriate questions to ask regarding the implant manufacturer used and the availability of components. One of the main disadvantages of treatment abroad is that the patient is not always able to necessarily return to the dentist to seek remedial treatment. Whereas, the advantage of having implant treatment locally is the convenience of being able to return to the dentist and be seen quickly if any problems develop. One of our main strengths is that we are based in Birmingham – Harborne and have been operating as a dedicated specialist practice for over 10 years. We are open 5 days a week, 8 till 6pm which enables us to see emergencies the same day. We are happy to receive any enquiries on patient treatment from the dentist either by email or telephone. Referrals are usually seen within one week and the reports are usually sent out within 48 hours of the patient been seen. 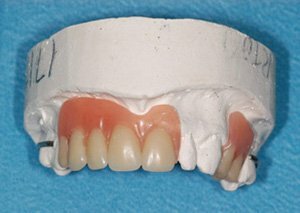 The fabrication and repair of a complete denture is a challenge for any Dentist/Denture Technician, including those who are experienced. There are many issues in the production of dentures that must be understood; lack of experience can lead to failure of the denture and the fixing cost can become expensive. 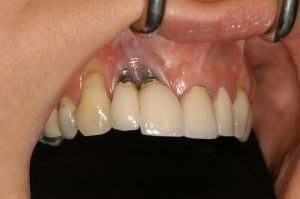 In the vast majority of cases, complete dentures should be comfortable soon after insertion, although almost always at least two adjustment visits will be necessary to remove sore spots. This is of particular importance if the denture has been repaired. 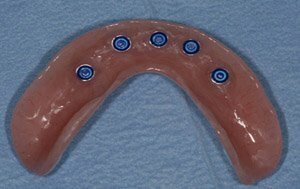 One of the most critical aspects of denture repair and production is that the impression of the denture must be perfectly made and used with perfect technique to make a model of the patient’s toothless gums. 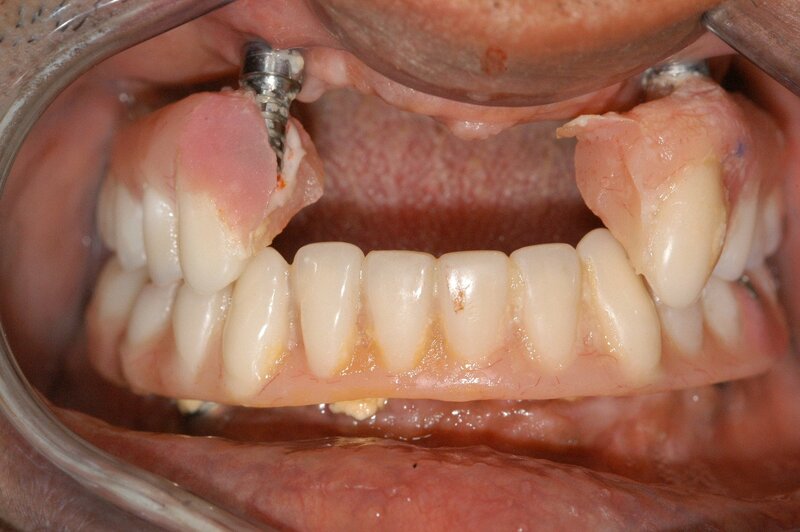 The dentist must use a process called border molding to ensure that the denture flanges are properly extended. An array of problems may occur if the final impression of the denture is not made properly. It takes considerable patience and experience for a dentist to know how to make a denture or provide advice on denture repair and fixing costs. It may be in the patient’s best interest to seek a specialist to make the denture. The Birmingham Periodontal and Implant Centre has a Prosthodontist who is a specialistdentist with many years of experienced. Problems with both dentures and repaired dentures include the fact that patients are not used to having something in their mouth that is not food. As well as loss of taste, the brain senses this appliance as “food” and sends messages to the salivary glands to produce more saliva and to secrete it at a higher rate. This will only happen in the first 12 to 24 hours, after which the salivary glands return to their normal output. New dentures can also be the cause of sore spots as they compress the soft tissues mucosa (denture bearing soft tissue). A few denture adjustments for the days following insertion of the dentures can take care of this issue. Gagging is another problem encountered by a minority of patients. At times, this may be due to a denture that is too loose, too thick or extended too far back onto the soft palate. At times, gagging may also be attributed to psychological denial of the denture. (Psychological gagging is the most difficult to treat since it is out of the dentist’s control. Denture implants are a great alternative to repairing your denture, dont suffer any longer with your old denture! BPI Dental can offer you these treatments. There are many advantages to a denture implant depending on the patients personal needs and treatment plan. 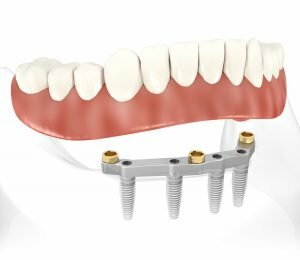 Patients who suffer from psychological gagging would benefit from implant supported denture, that have been prepared by our specialist at the Birmingham Periodontal and Implant Centre . Sometimes there could be fungal infection under the full dentures, which is caused by accumulation of dental plaque/food debris, this condition can be avoided by having a denture implant instead of repairing your old denture. Denture implants - what a great smile! The cost savings are substantial in that generally no bone grafting is needed, therefore typically a saving of upto £6000-£7000 per arch can be made. Secondly a huge amount of time is saved as the treatment is finished much quicker and also there are less visits. All on four can be offered for a fixed cost, which includes all consultations, appointments, implants and cosmetic dental work. The all on 4 procedure involves placement of up to 6 implants but generally 4, are angled in such a way as to avoid the vital structures such as the maxillary sinus and also lower nerves. 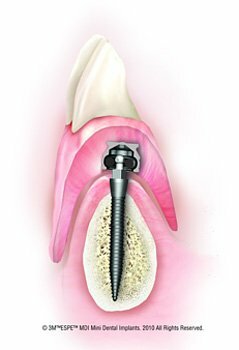 By angling the implants in a incline of up to 45 degrees much longer dental implants can be used. These longer implants give much greater stability and this can utilised to attach a fixed bridgework in the same day. Learn more about the all on 4 procedure. What is success rate? How long will they last? The success rate of this type of procedure is much higher than conventional therapy. 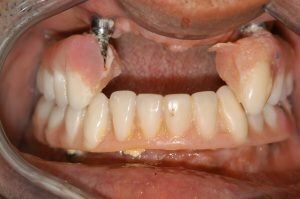 This is for a number of reasons firstly that by avoiding bone grafting the success goes up as there less to go wrong and secondly by using fixed bridgework instead of removable denture in the healing phase the implants are subjected to undue forces and constant rubbing with the dentures. How long they will last depends on maintenance as with anything. We recommend at least 6 monthly routine examinations after the first year. Our work is guaranteed for 5yrs subject to the patient having attended the regular reviews and maintenance visits. 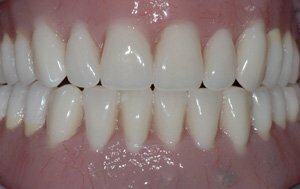 What is the difference between teeth in a day and conventional therapy? Conventional therapy usually involves placement of dental implants and if in the back of the upper jaw some bone grafting. The bone grafting usually needs a period of maturation/healing of up to 16 months in the upper back of the jaw. After the graft has matured then implants are placed and which requires a further 3 to 4 months of implants bonding with the bone (osseintegration) and once these implants have healed and set within the bone then the procedure for the final bridgework can start. With Teeth in a day , the key is the latest technology and preparation. As one of the few practices in the Midlands area to have a CT scanner we are able to assess to much greater detail the bone structure and also where the vital structures such as sinuses , and nerves are. By using the latest software such as Simplant or Nobelguide (both world leaders ) we are able to plan exactly where the best position for the implants is. This also enables to order the exact components for the procedure. The Bridgework is made ready before the surgery by the second specialist dentist (prosthodontist) who only deals with the crown/bridgework/restoration aspect.This is complimented by the in house lab technician who will adjust the bridgework. Majority of the patients have experienced minimal post surgery pain or swelling due to all the procedures being carried out the same day. What is the treatment duration and healing advantage over conventional implant therapy? 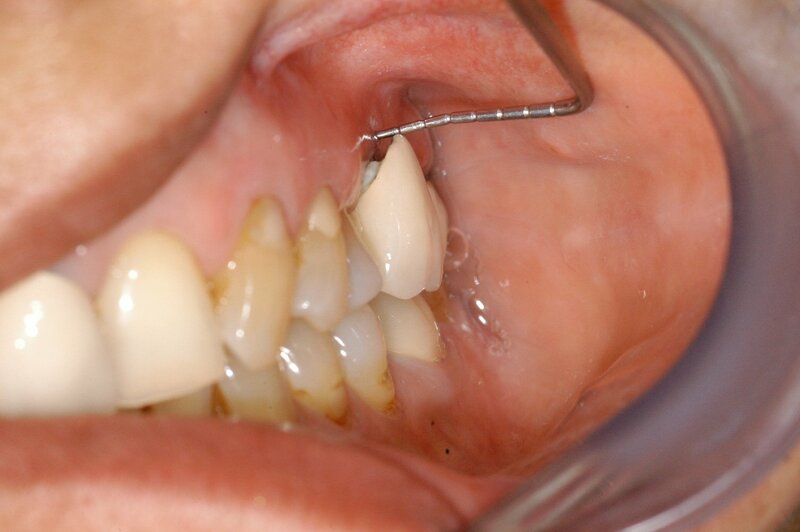 The minimum time frame for this treatment is usually approximately 4-6 months. 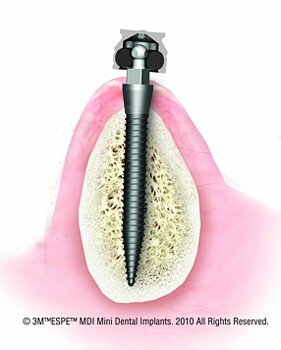 This includes immediate bridgework fitted at the time of implant placement surgery and also the final definitive bridgework which has a titanium framework for long term strength. The second bridgework is carried out approximately 3-6 months after the first bridge is fitted. The advantage of this that you can get used to wearing the bridge and also if any changes need to be made in terms of size, shape or colour match of teeth this can be easily done for the final bridgework. The initial bridgework is only fitted after you have given the approval before the implants are placed. What would stop me from having teeth in a day? 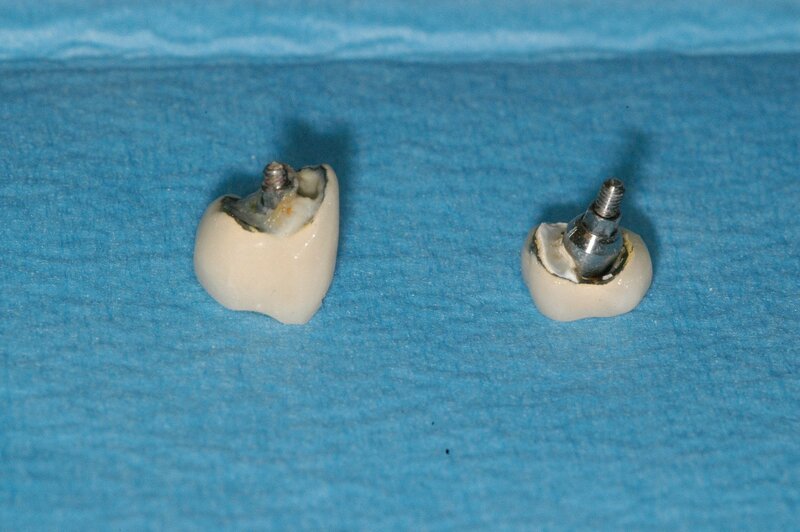 Mini dental implants are titanium implants of diameter less than 3mm. Conventional or standard implants have diameter of more than 3mm. 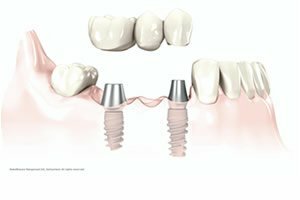 They usually range from 3mm up to 5mm and have a greater flexibility in the type of attachment that can fitted on top of the implant. Due to their small diameter there is less flexibility of what type of attachment can be connected onto this. 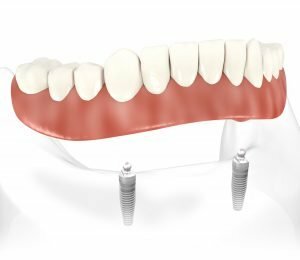 Generally most of the mini dental implants are used for denture stabilisation purposes, as an interim or temporary stage in dental implant therapy. After graduating from Liverpool University in 1992 and I went into general dental practice after completing vocational training. After working as a general dentist for 18 months I started a 2 year postgraduate Masters degree in Periodontology at Liverpool University. This was completed in 1997 and I subsequently became a part time lecturer in the Periodontal Department. In 2000 after passing the Membership in Restorative Dentistry from the Royal College of Surgeons (England) I was entered onto the General Dental Council’s specialist register in Periodontics. I have been accepting referrals for advanced periodontal care and dental implant surgery since 1996. I have taught at both Liverpool University and Birmingham University Dental Schools. I have given lectures both nationally and internationally on periodontics and the surgical aspects dental implants, bone/soft tissue augmentation. In addition I am a Simplant trainer and provide clinical coaching for different dental implant systems. I am also an active member of the British Society of Periodontology, the American Academy of Periodontology and the Association of Dental Implantology. As a registered specialist and dental implant surgeon with additional postgraduate qualifications you can be rest assured that all patients will receive the benefits of my advanced training in dentistry. In addition I continually update my knowledge in techniques through a commitment to continuing education. I have travelled all over the UK, Europe and the USA for postgraduate training. By seeking the care of a well qualified specialist you are ensuring that you receive the highest standards of treatment in advanced dental care. We have been involved in providing dental implants for over 15 years and Dr Ubhi has placed over 2500 implants with 98% success over this time.